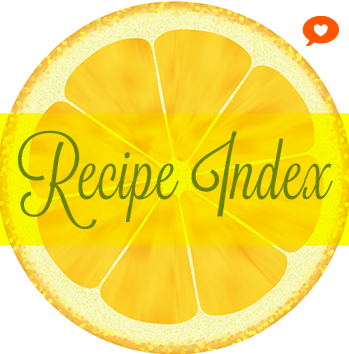 Amma's recipes is one such column on this blog, which is very close to my heart. These are the recipes which my mother perfected over many many years and reflects how awesome a cook she is. It is also fun to just photograph once in a while, without thinking about what and how to make a recipe, worrying whether it would turn out well or not. She Cooks, I Photograph. That is the deal. :-) If you guys have any question, do drop in a line or comment. My mom will be more than happy to answer all of them. Both for me and my little sister, my Mother is the biggest inspiration in our lives. It baffles us how can she be so good at almost everything she does. and my Dad. He is the sweetest and one with most patience in our family. He can go to any extent to get our wants and wishes fulfilled...and both of them make one helluva couple, I must say! 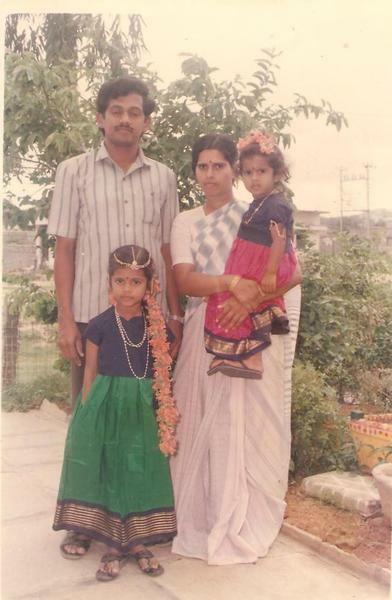 It is me in green and my sister in pink..
My mom was 42 when she did her MA in Economics. With a fulltime day job and two school-going kids at home, it was quite a task to balance out everything. 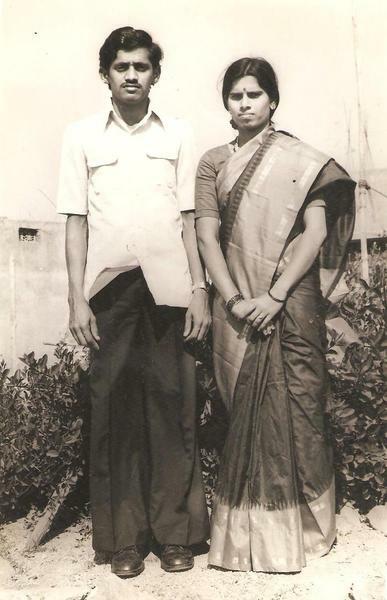 It was my dad who used to help her in everyday chores, so that my mother could concentrate on her studies. That is the time when he also got promoted as sous chef in our kitchen. ;-).. He used to prepare the dal, vegetables, neatly cut into pieces, for my mom to quickly make a curry & a dal for our lunch & dinner. ..a decade later, they still work together in the kitchen, dishing out amazing family recipes for us and their extended families. Chana Dal Wadi ki Kadhi, comfort food at its best..
Amma and Nanna are in Bangalore right now with me, for a short trip as Mr.TH is out of town, yet again. 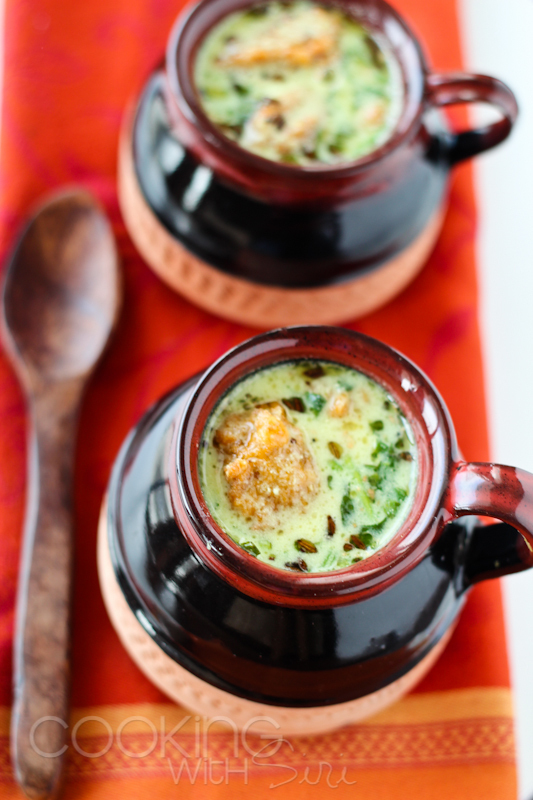 It is been a while that I updated this blog with any of her recipes, so we teamed up and made this absolutely decadent, easy-to-make 'Chana Dal Wadi ki Kadhi' for you all. The best part of this recipe is, it works well, even in parts. 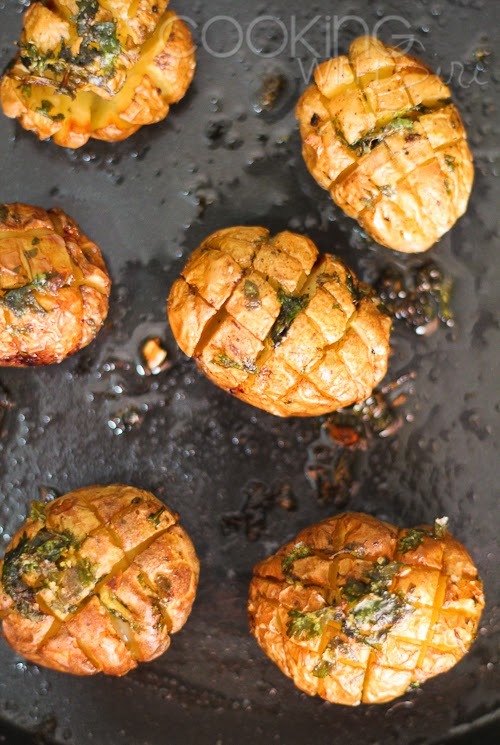 Make these wadis for a quick, evening snack or to pep any of those gloomy, rainy evenings. 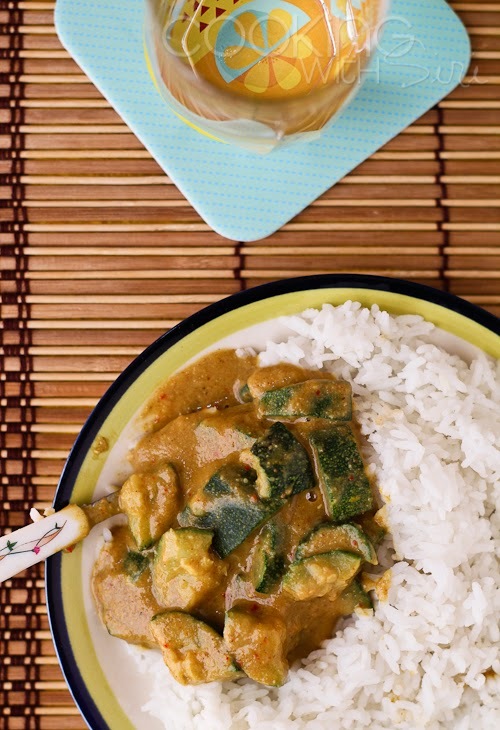 (or) Make the kadhi by itself for a comforting meal. Enjoy! these fried wadis taste delicious as-is. 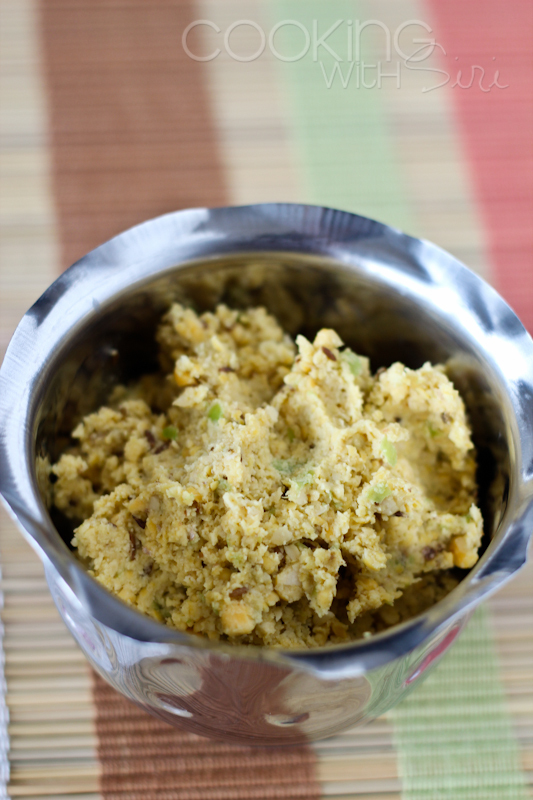 * Grind chana dal, green chilli, ginger, dhania powder and salt into a coarse paste without adding water. (as shown in one of the photographs above). * Heat oil in a kadai, make them into small flat balls and deep fry. Drain the excess oil by placing them on a paper towel (or old news paper works too!). Keep them aside. * Beat yogurt for 5-10 mins, by adding about 1.5 cups of water, little by little water. * Grind green chillies and ginger into a fine paste. Add to the buttermilk with salt and turmeric. 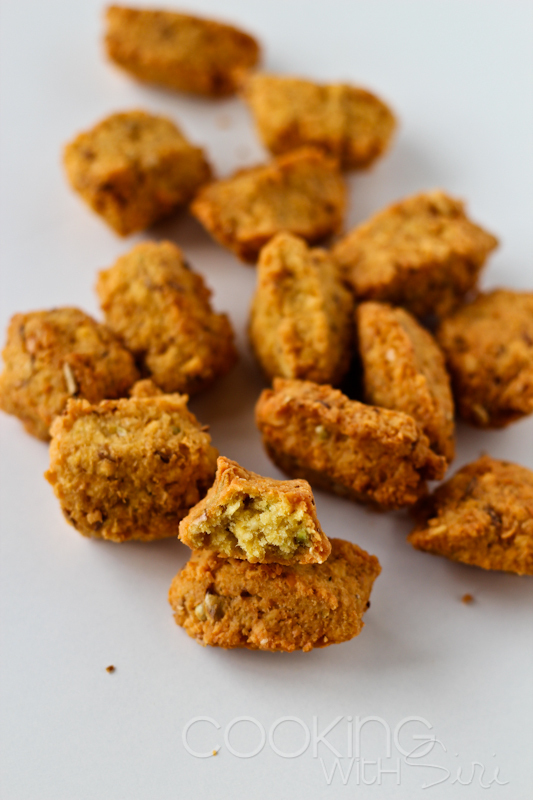 * In a small bowl, mix besan with little water (no lumps) and add to buttermilk above. * Put this buttermilk mixture on low-medium flame. Keep stirring continuously, till the liquid becomes thick and there is no longer the raw taste of besan. 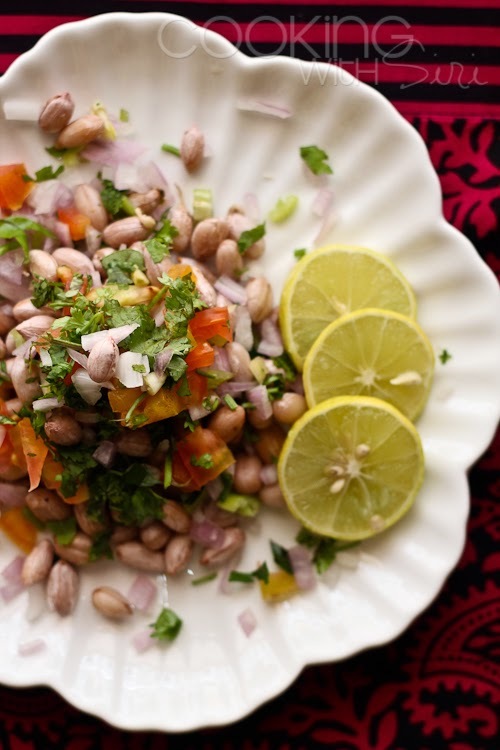 * In a small pan, heat a tsp of oil and add all the tadka ingredients one-by-one. Add the tadka to kadhi. * Add the chana dal wadis as well and let them soak in the kadhi liquid for some time. 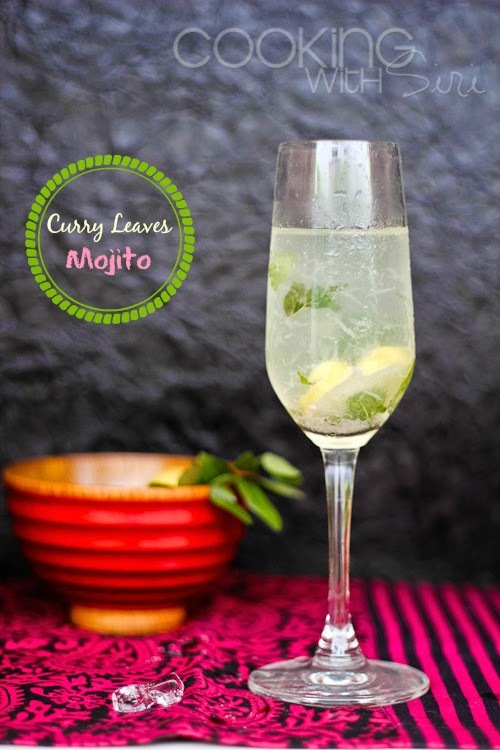 Garnish with cilantro/coriander leaves. 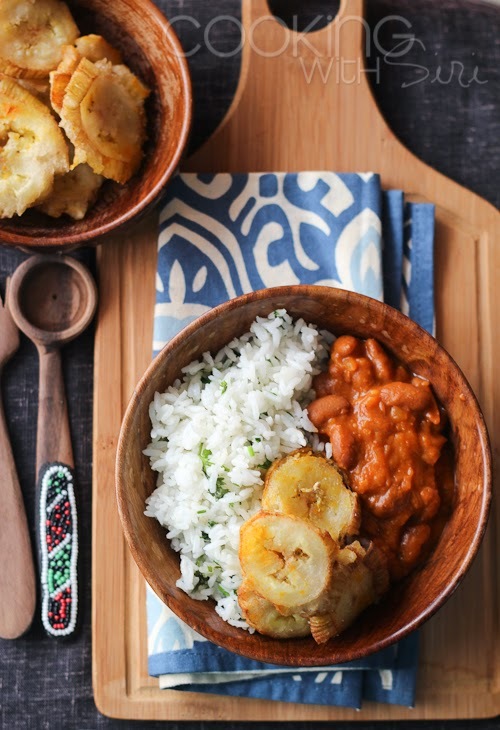 * Serve with hot rice. Kadhi looks perfect for Bangalore weather right now... Love the photo Siri. Beautiful post...and love to the girl in green..she is a darling! ur parents are the sweetest couple ever!!!!! i dont think my husband and I can even bear to be in the same kitchen at the same time :P Lovely shots... and that is such a cute family pic - are u the little one that your mom is carrying? Or the older girl with long beautiful hair? A big hug to you all babes - Mittu, Sonia, Deesha, Sharmilee, Chinmayie, DK and Sushma. Sarah - Thanks a lot. Same is the case with me too. I don't think myself and Srini can cook together in harmony ;-)..I am the older girl in green. Such a lovely wonderful post Siri. I think you look like you mom. And indeed your parens make such a lovely couple, I do'nt remember my dad, but my mom used to say he makes the best dishes and then she adds ofcourse it tasted good as almost half of my oil was finished when he cooked.Never had this dish but it looks so so good.Have fun with you mom in the kitchen and I am so jealous you can eat all her delicious food. Mums are like that Siri, mine is the same. U luk so cute in that Green dress, traditional and colourful. The KAdhi luks wonderful, I wanted to ask if we can steam these Wadis. I usually do that with Moong Daal but have never done with Chana Dal. Ma's recipes are always the best. Your pics are getting better day by day Siri! What a lovely kadhi and wadi combo!!! 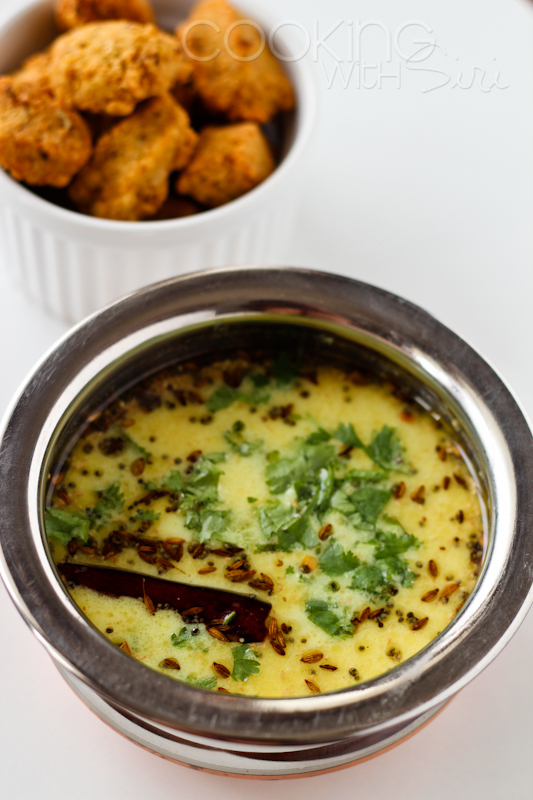 Must try, i love kadhi and enjoy sipping it just as, this combo will be a meal in itself for me, thanks to ur Mom! Loved your blog...first time here.Happy to follow you. Great kadi recipe with beautiful pictures..
Lovely pics - thanks for sharing! 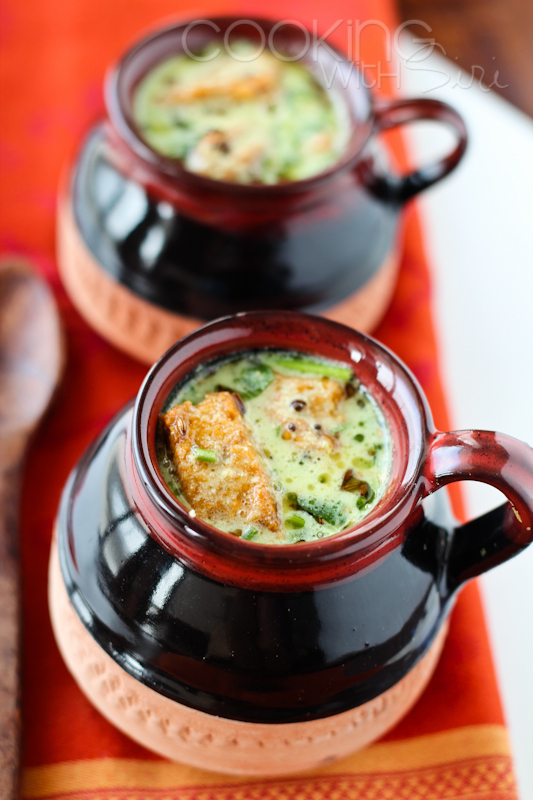 and the recipe for this delicious kadhi, I am such a sucker for any yoghurt based recipe- the wadas are irresistible! I would love to have it with plain rice. awesome dish love the wada so exciting to ea and must be very flavorful siri.